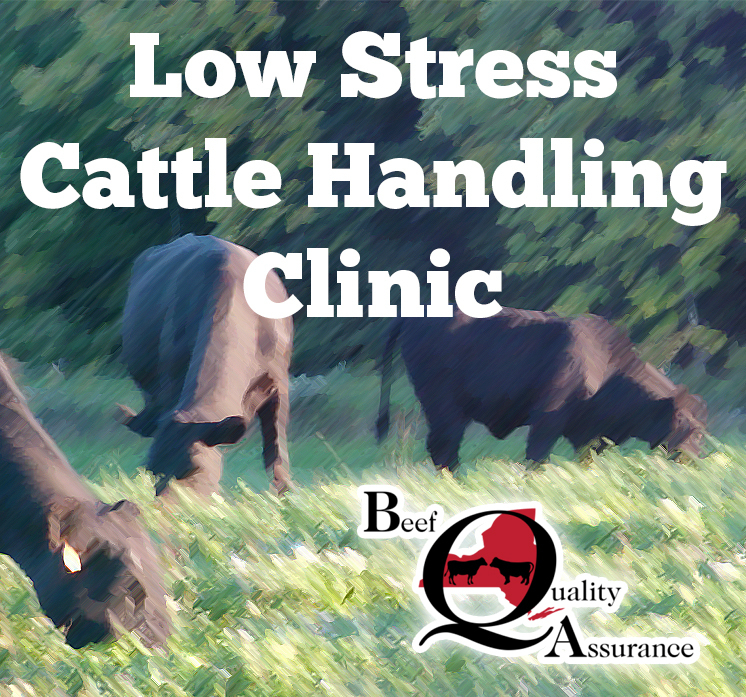 Mark August 5, 2014 on your calendar to attend a special Low Stress Cattle Handling Clinic led by renowned Montana rancher and stockmanship instructor Curt Pate and sponsored by the NY Beef Quality Assurance program. These special clinics focus on handling methods that improve gathering, penning, chute work and hauling of cattle. Emphasis is placed on ways to increase cattle performance by reducing handling stress and how the principles presented have an economic – as well as “quality of life” – benefit when applied in one’s operation. Welfare: Improved cattle handling leads to improved public perception; less injury to handlers and cattle; less carcass damage and trim loss. Performance: Increased efficiency; increased gain; less investment in veterinary intervention; less investment into facilities and repair. Quality of Life: Improved profitability; sustainable family operations; enjoyment of the beef farming lifestyle. For all BQA Certified producers, the clinics will count for the required continuing education credits for BQA re-certification. The clinics are free of charge and sponsored by the Beef Checkoff, New York Beef Council, New York Beef Producers Association and Cornell University Extension. Registration & Meal: 5:00 p.m. Please note that there is also a cattle-handling clinic on August 6, 2014 in Seneca Falls, NY. Preregistration is required. Contact the NY Beef Council at 315.339.6922 or email cgillis [at] nybeef.org.